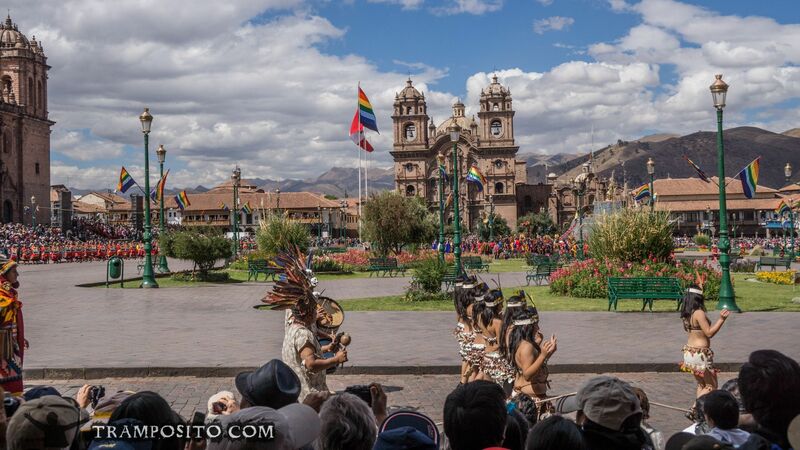 From the north - todays Ecuador - from the east - the Amazonas basin - from the west - the desserts of the pacific coast - and from the south - todays Chile - people come to the capital of the Inca empire - Cusco. 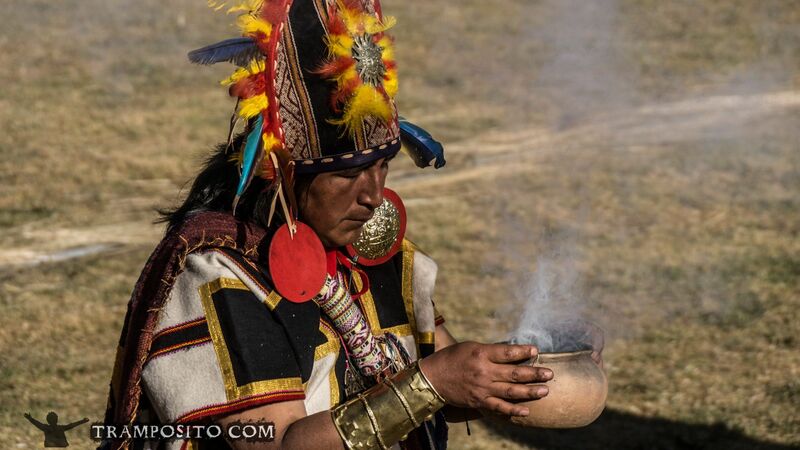 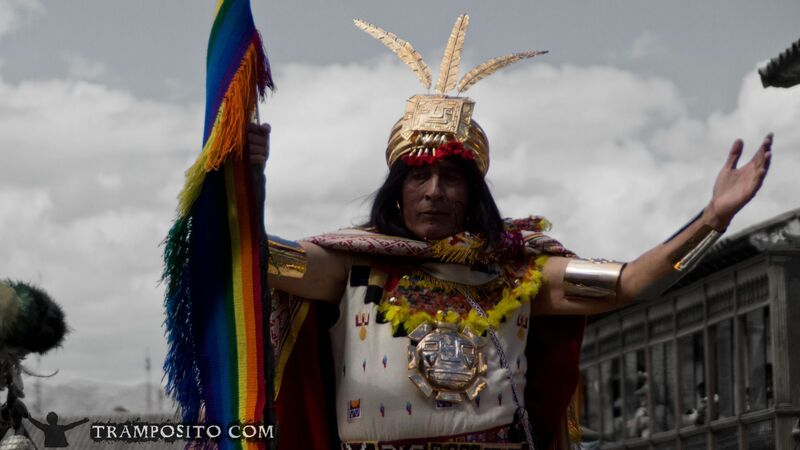 They come to represent their tribes and bring sacrifices and gifts - to the gods, to the political and to the spiritual leaders of the Inca nation. 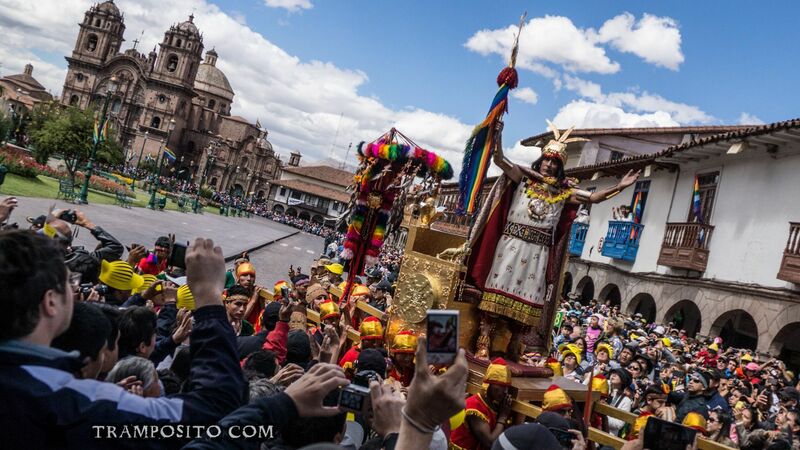 Chica, beer made of maize, gold, silver and fine clothes are brought. 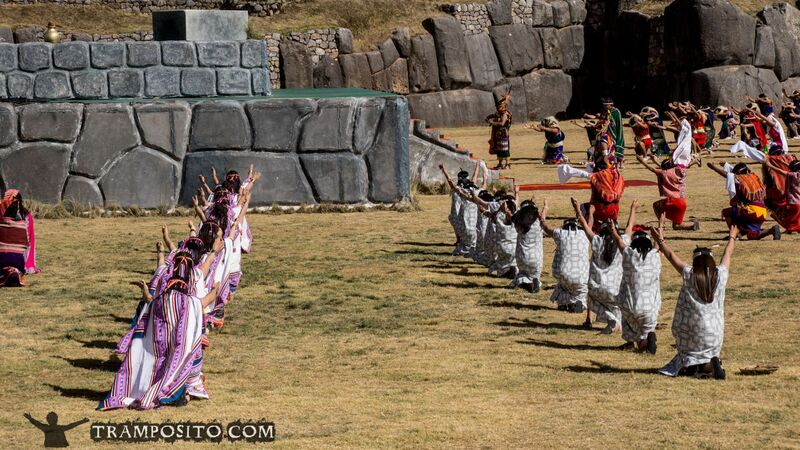 Animals are being offered to the gods. 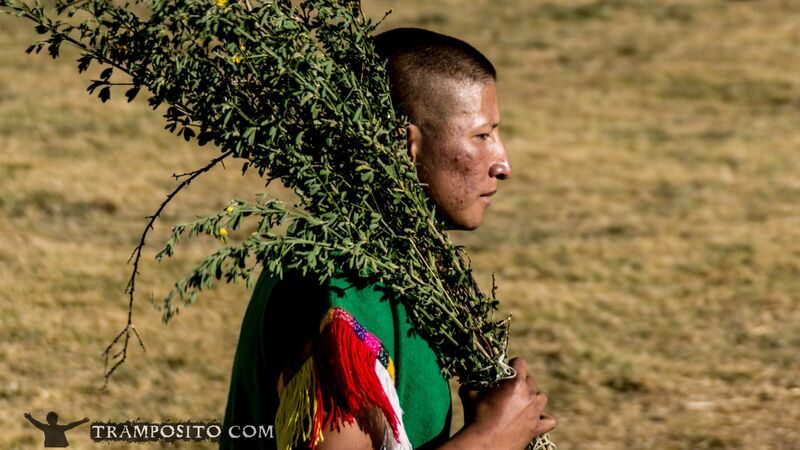 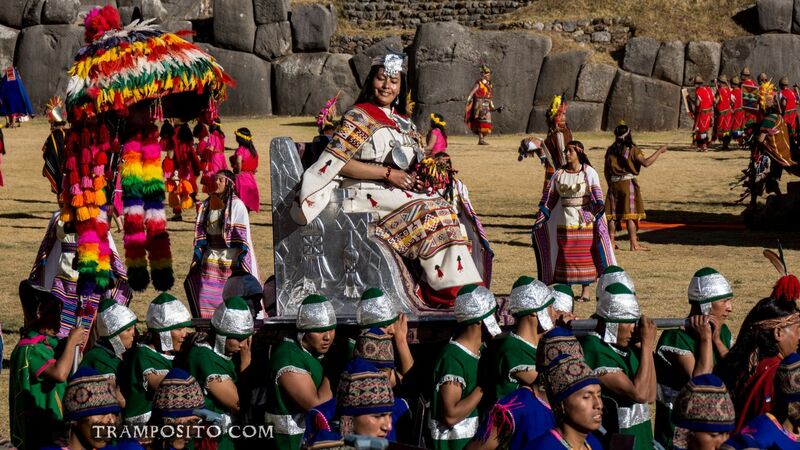 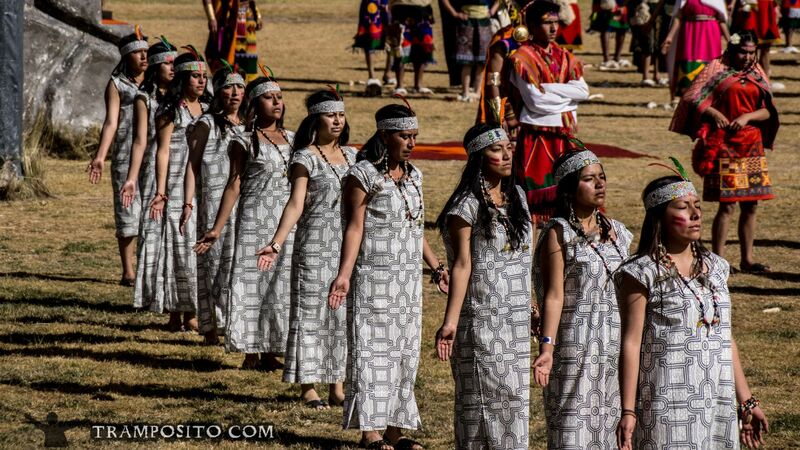 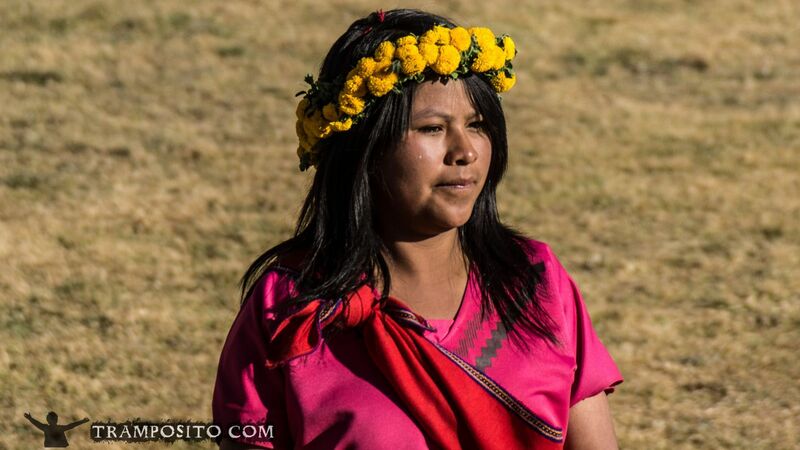 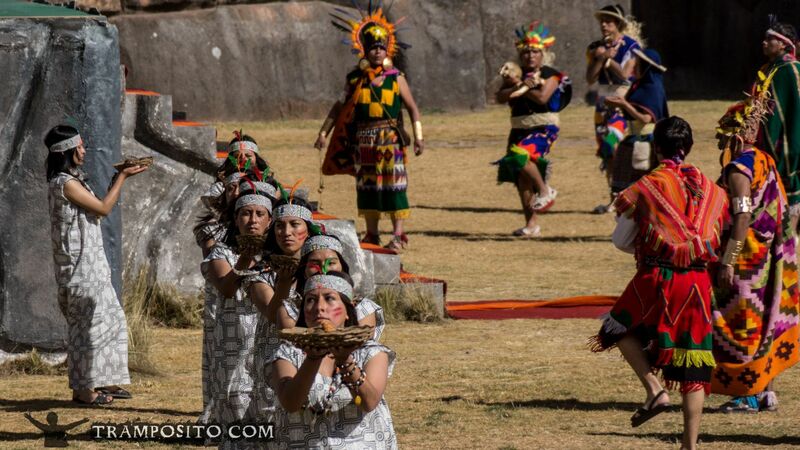 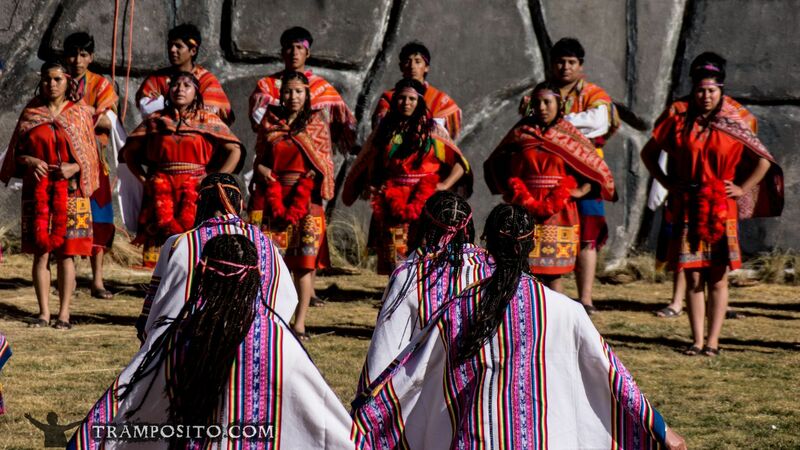 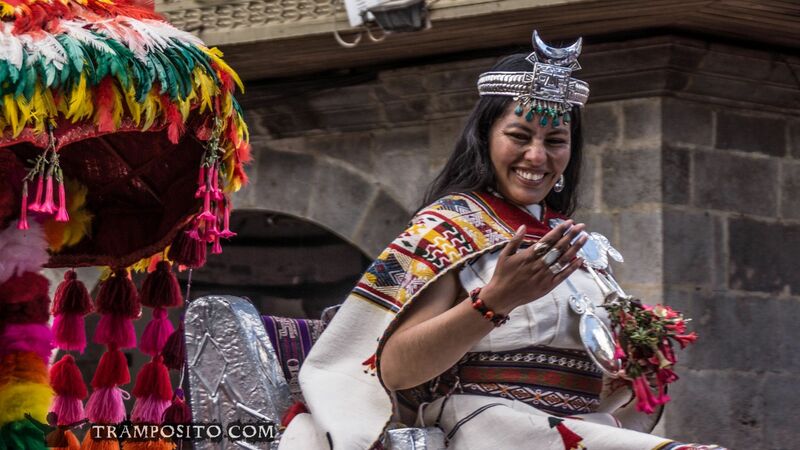 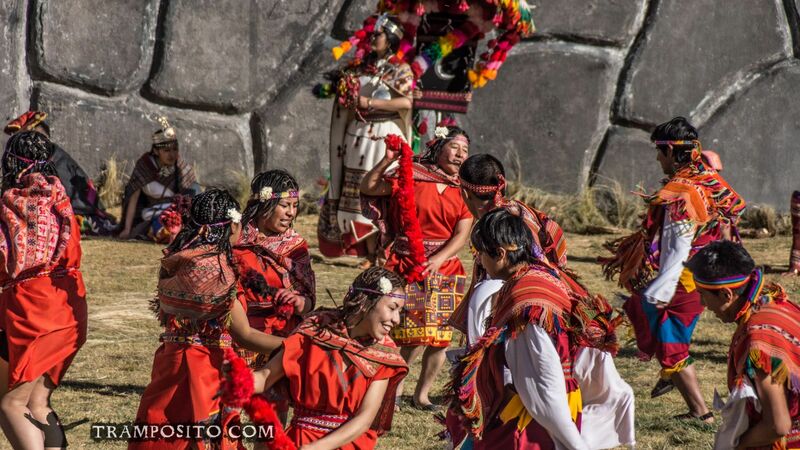 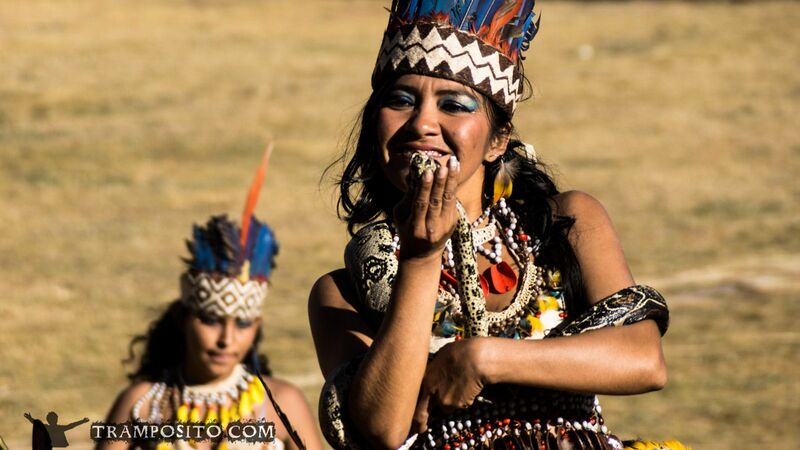 The multicultural state celebrates its most important festival, the Inti Raymi, festival of the sun. 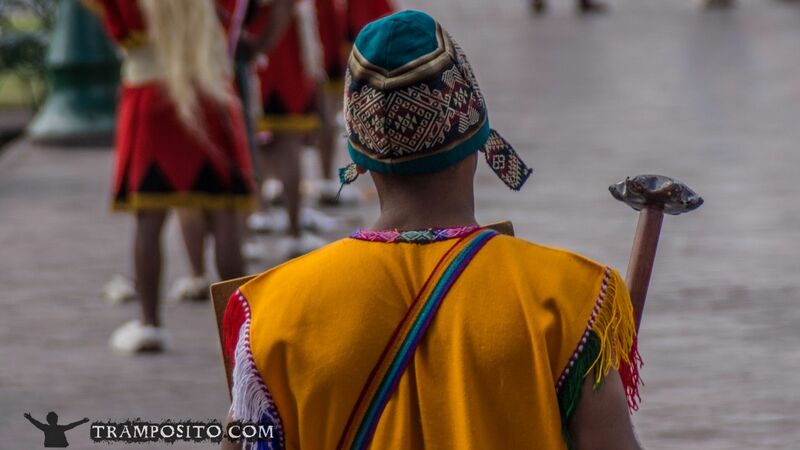 The people are as different as the regions they live in: ranging from the altiplanos, 4000 meters above sea level, down to the jungle and dense tropical forest. 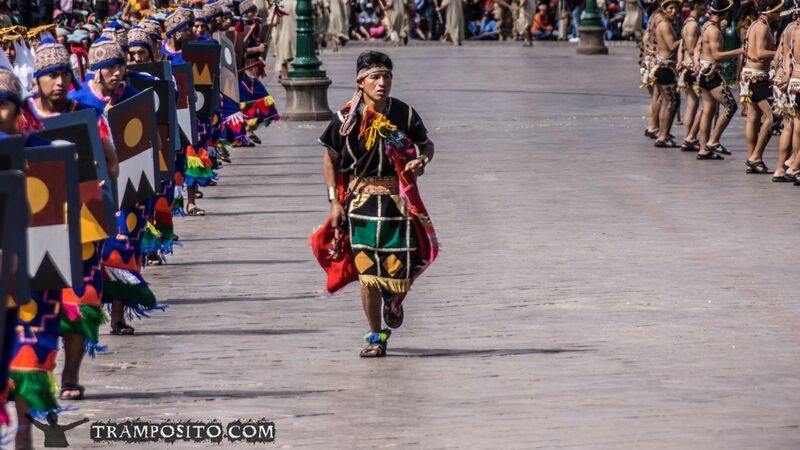 They are not only different in physical appearance, but also in the clothes they wear and the customs they treasure. 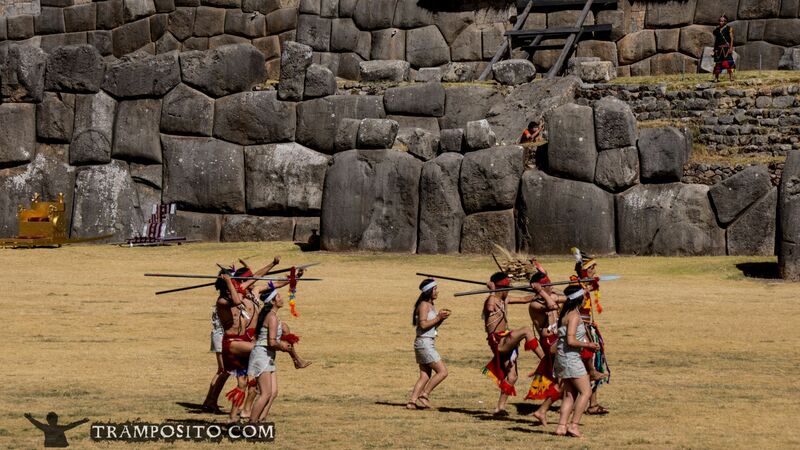 The date is the 21th of June, mid-winter on the southern hemisphere. 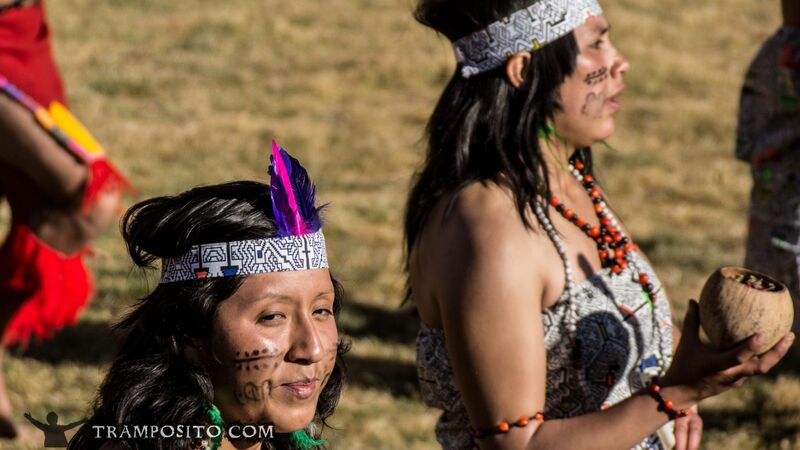 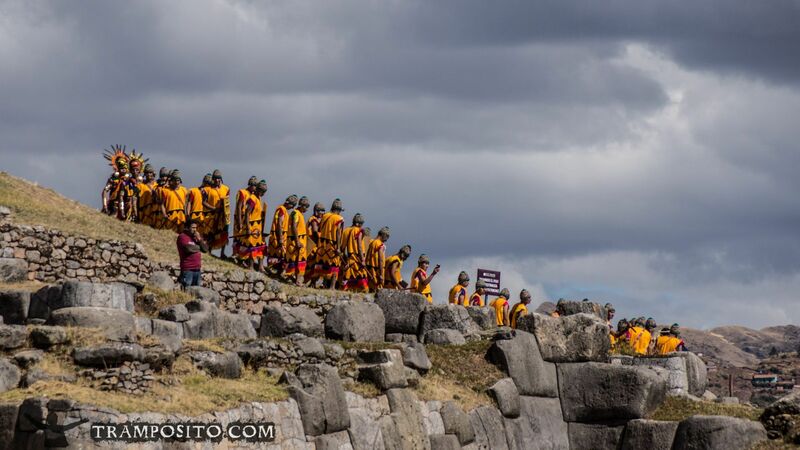 Unfortunately Qorikancha, the temple of the sun and the traditional place for this festival, is destroyed. 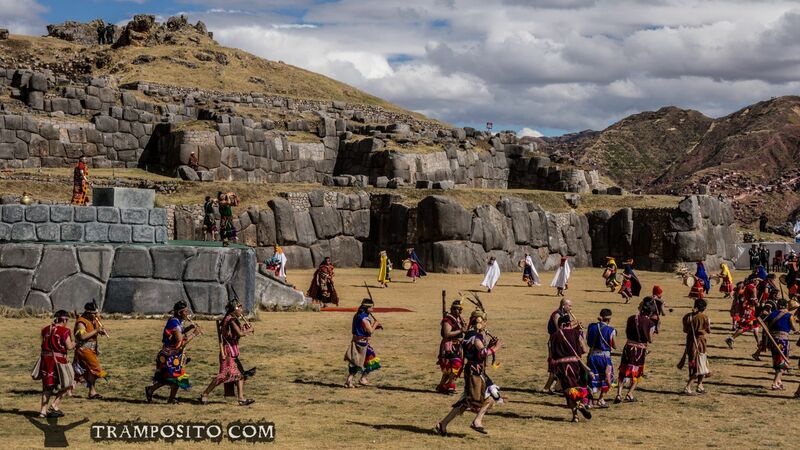 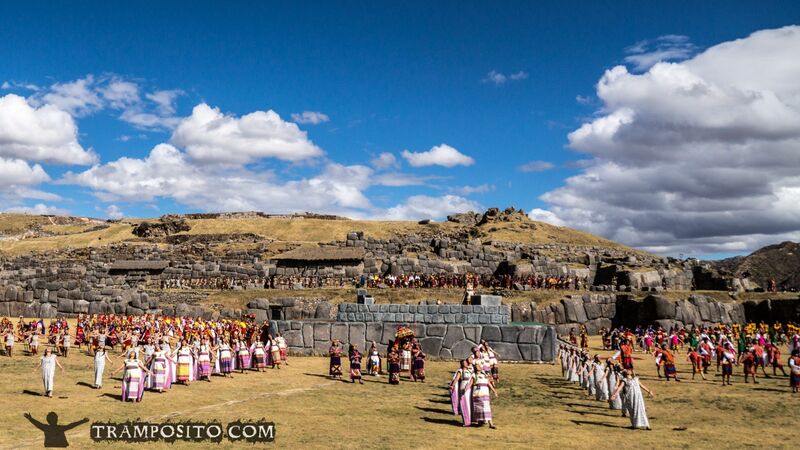 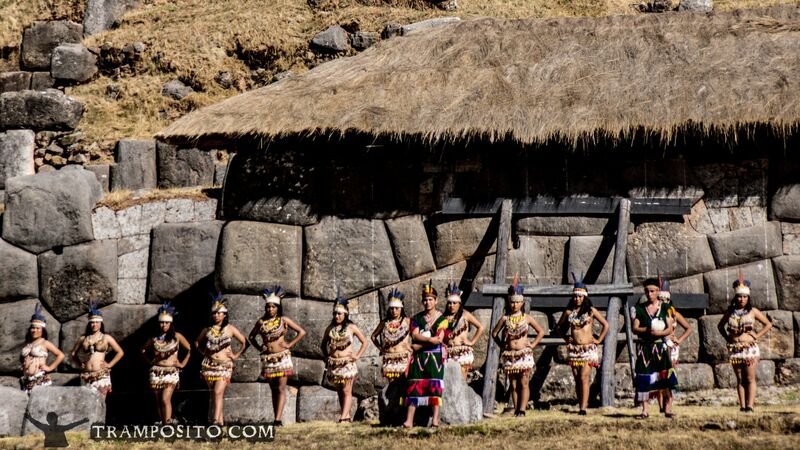 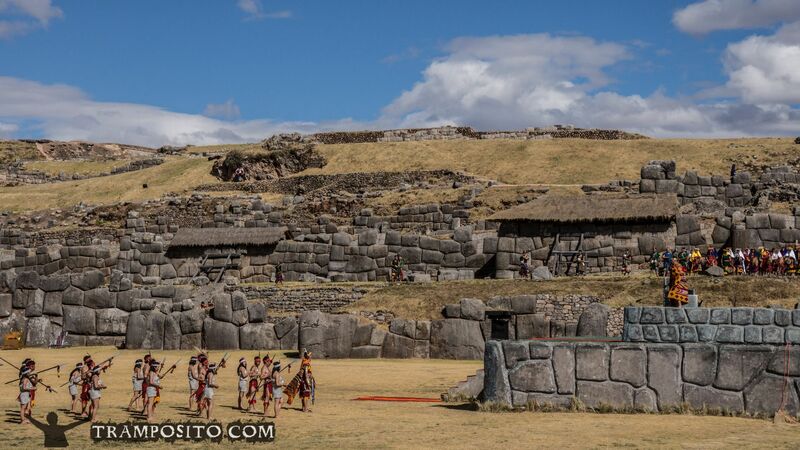 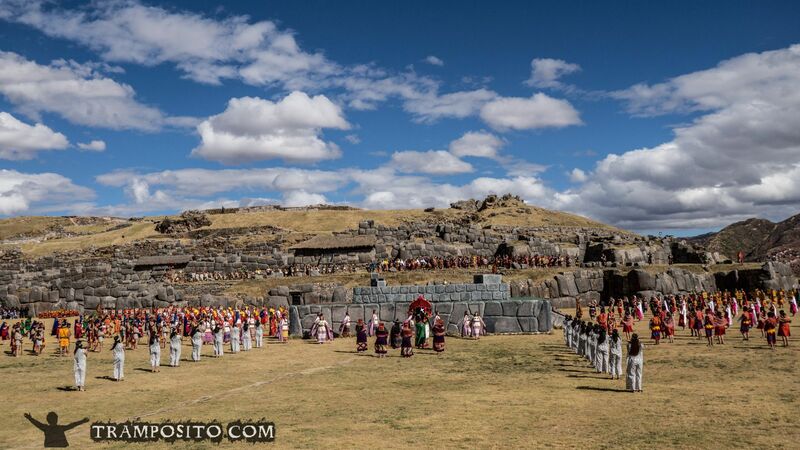 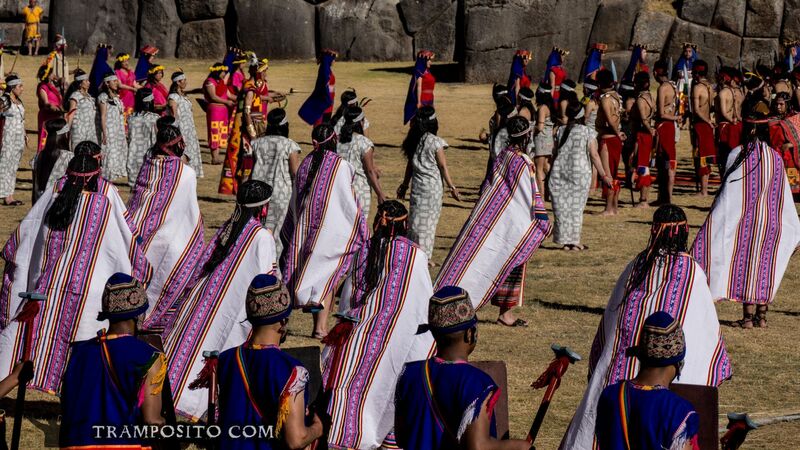 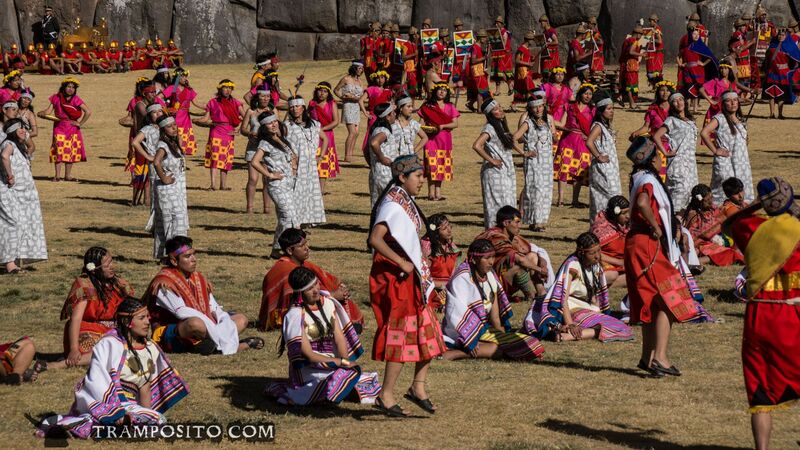 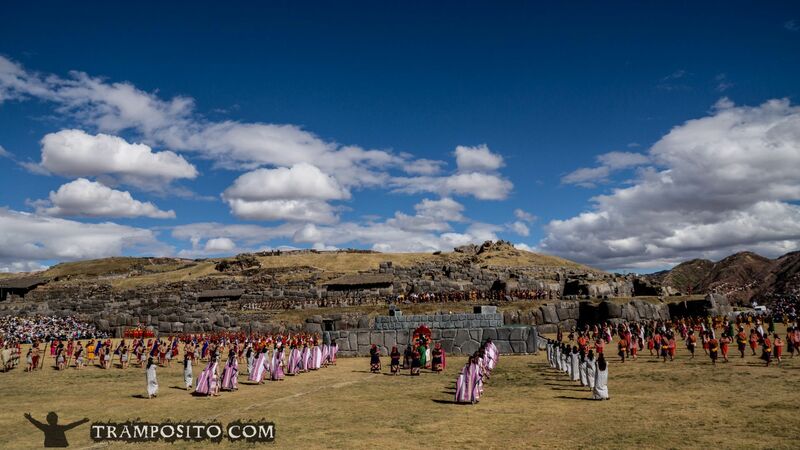 So the main ceremony now is held at Sacsayhuaman, a former fortress right outside Cusco city. 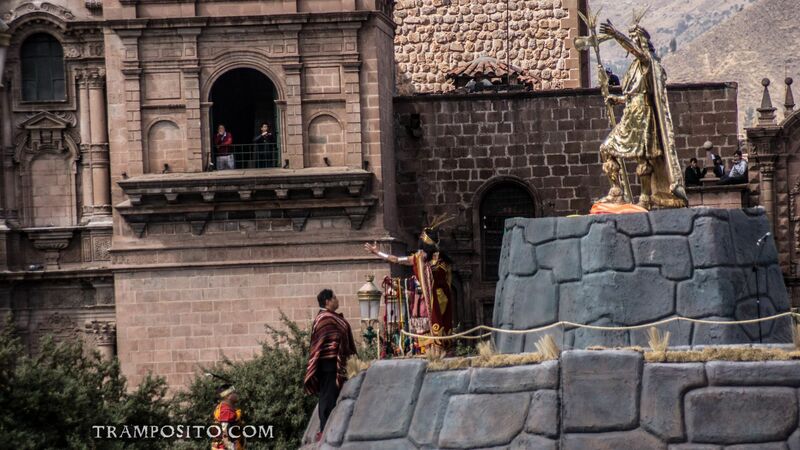 All starts with the command to extinguish all fires of Cusco. 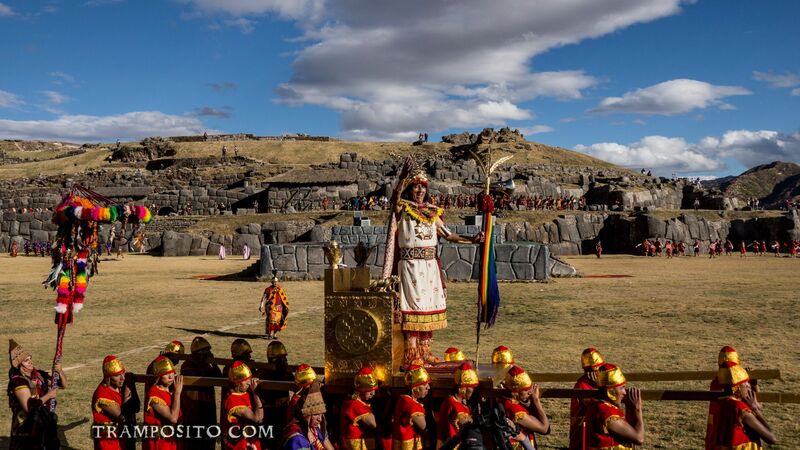 Manco Capac, the Inca king, and Mama Ocllo, the Inca women, oberve closly the ceremonial sacrifices to the Inti, the god of the sun. 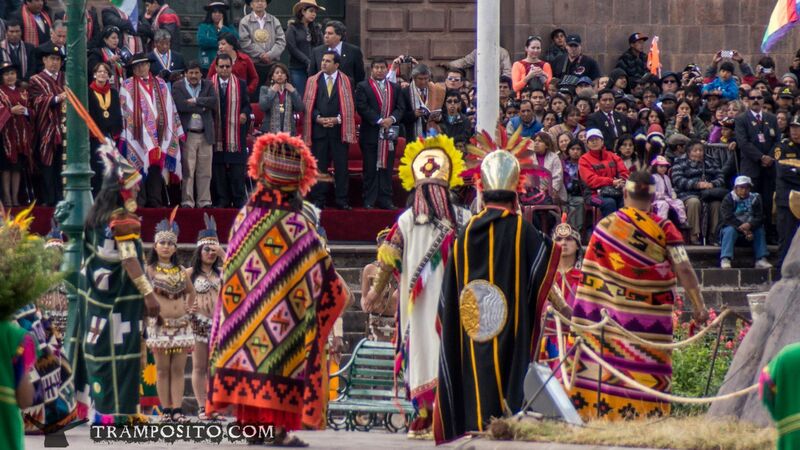 The ceremony is held in the official language of the nation – Quechua. 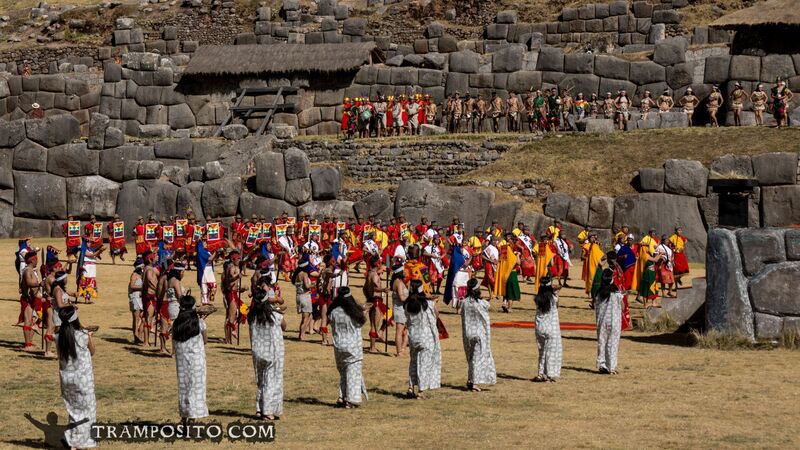 Groups show their dancings, accompanied by the music of the time. 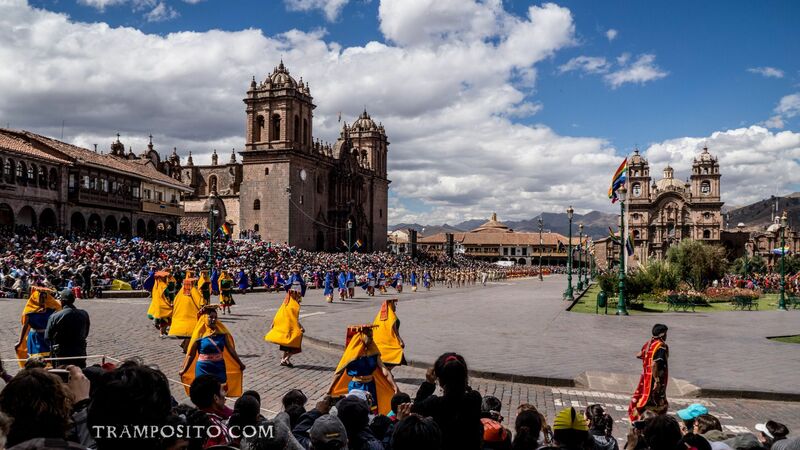 After the gifts are placed finally the ceremony come to its climax: the inflaming of the new fire that then is brought into Cusco spread there. 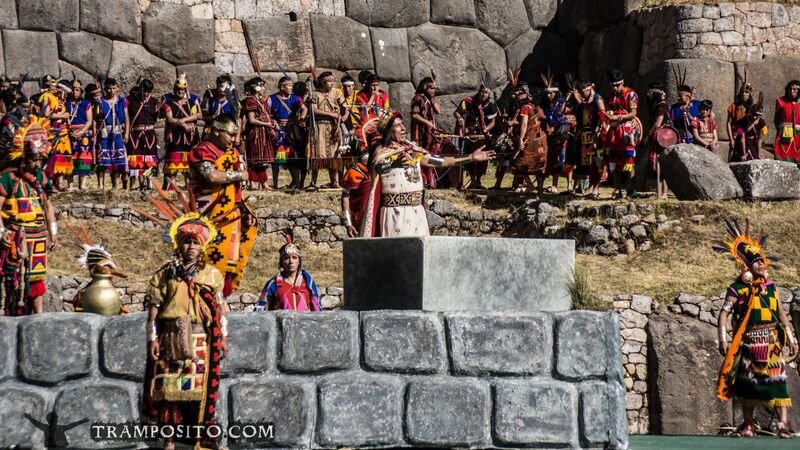 What I see today is a play of the festival as it used to be before the Spanish conquest. 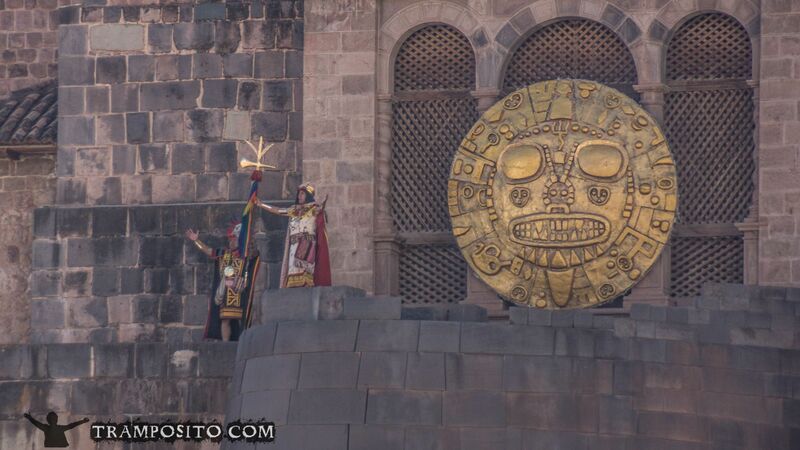 Then it was forbidden in the year 1535 and banned over centuries. 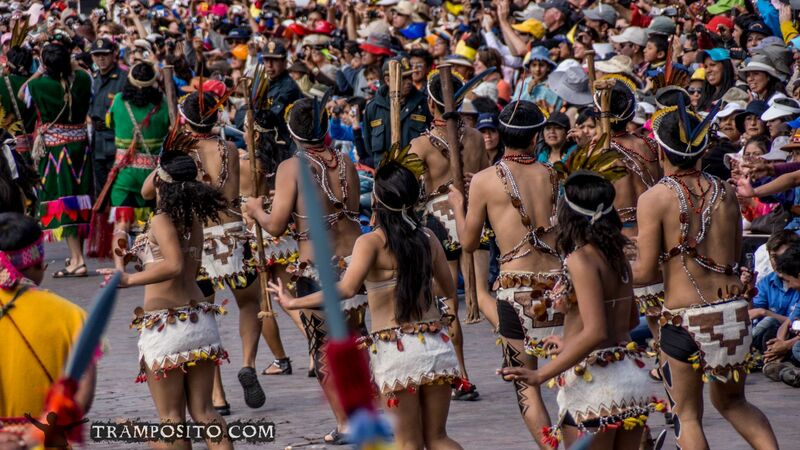 Finally the festival was reanimated in 1944 as a staging by Peruvians and tourists. 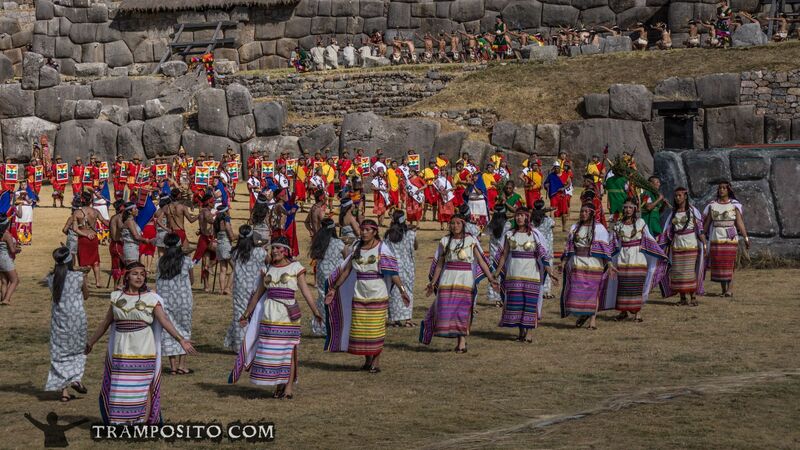 Now the festival is celebrated at the 24th of June. 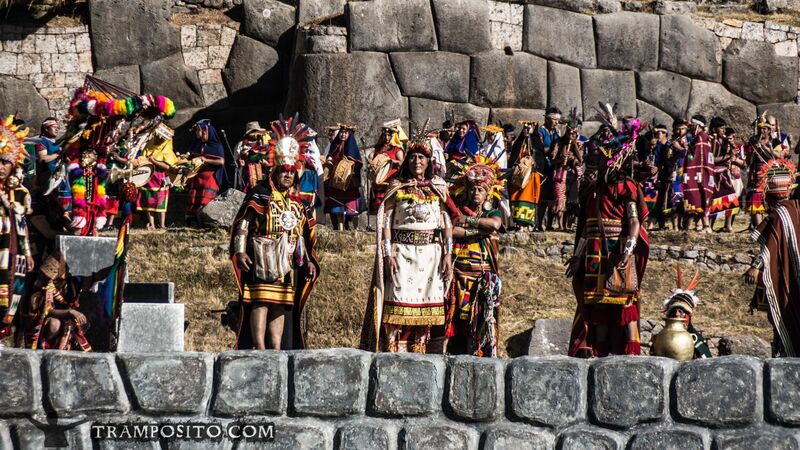 The procedures have been memorized and passed over orally all over the time. 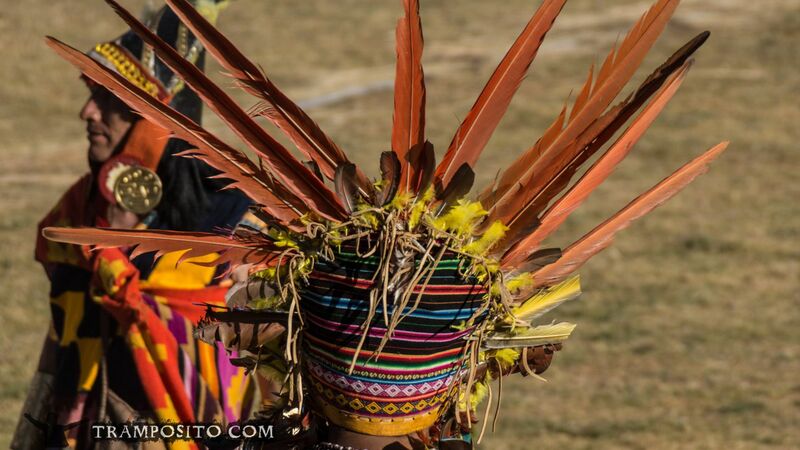 So my version is one of many that may come to your ears. 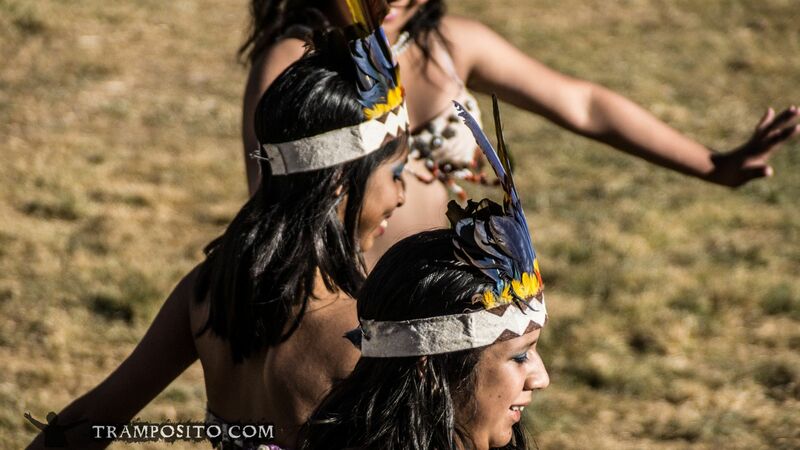 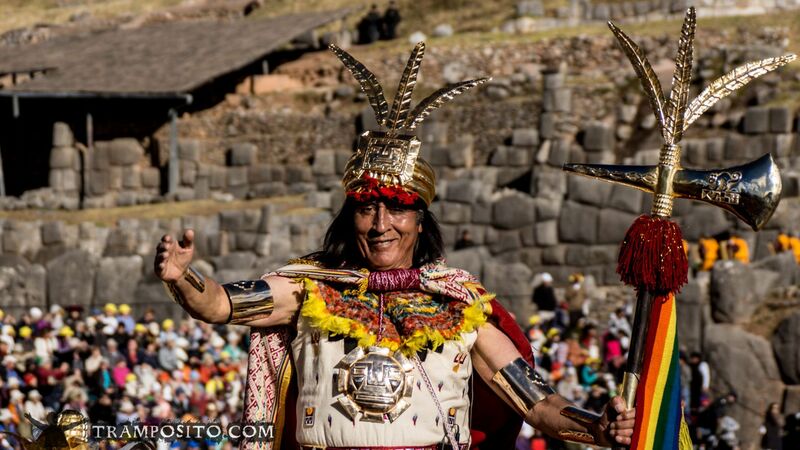 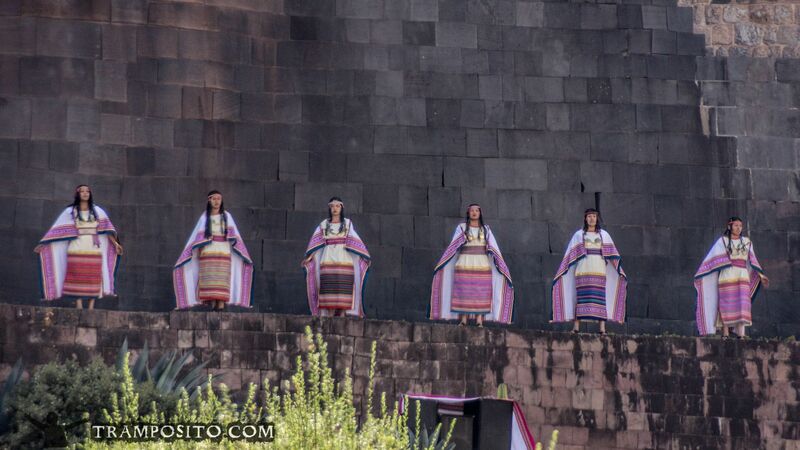 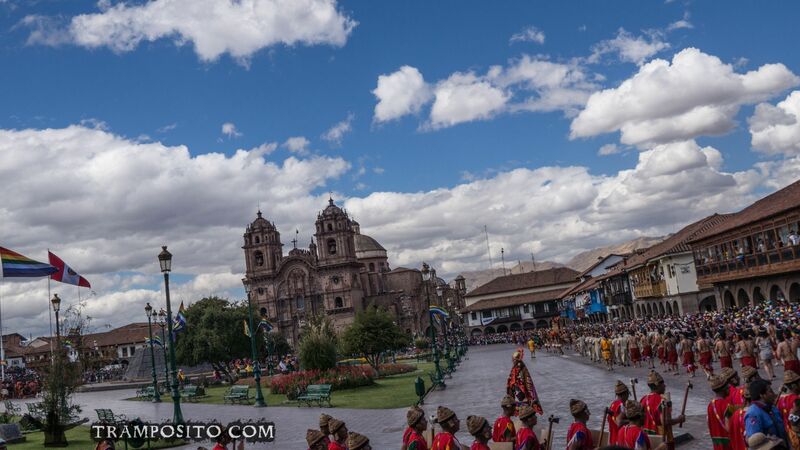 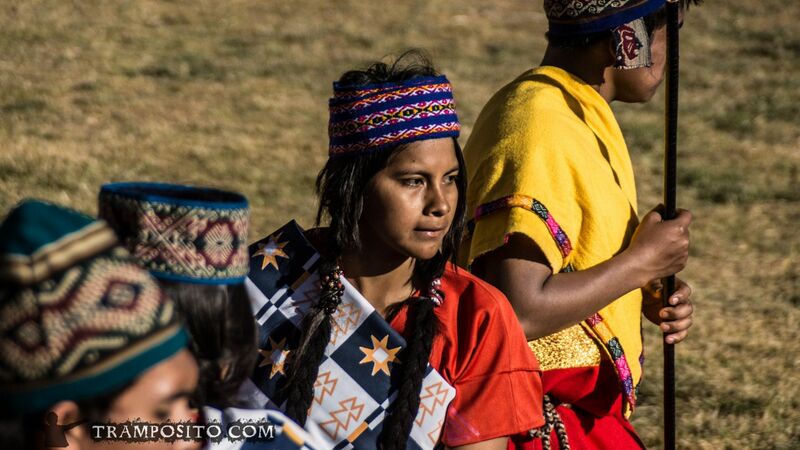 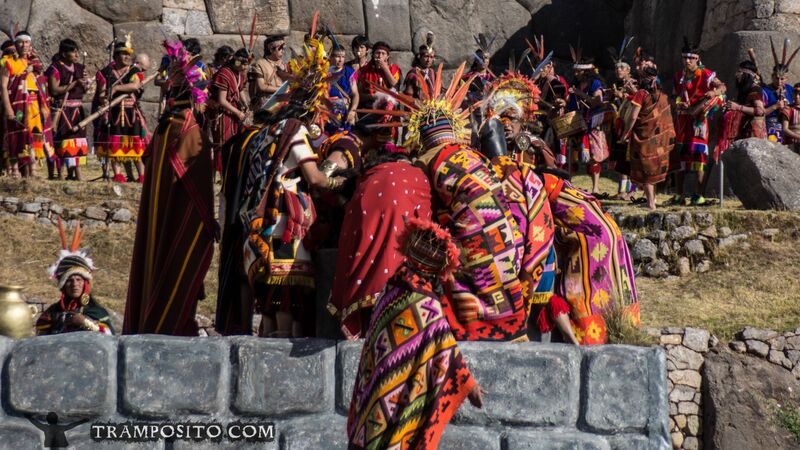 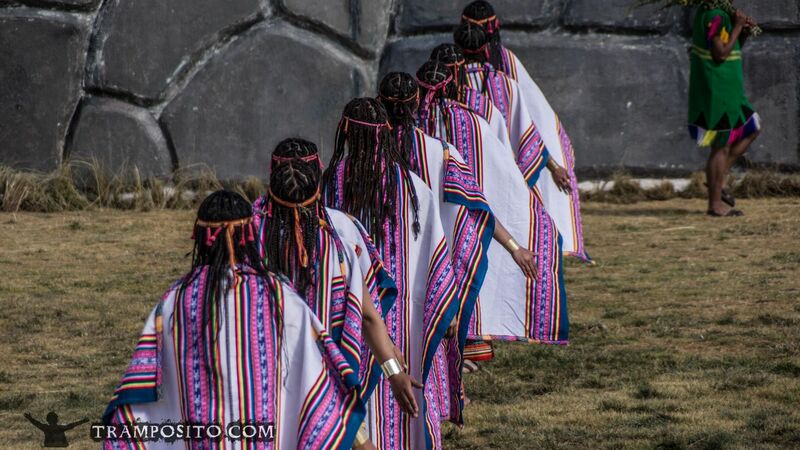 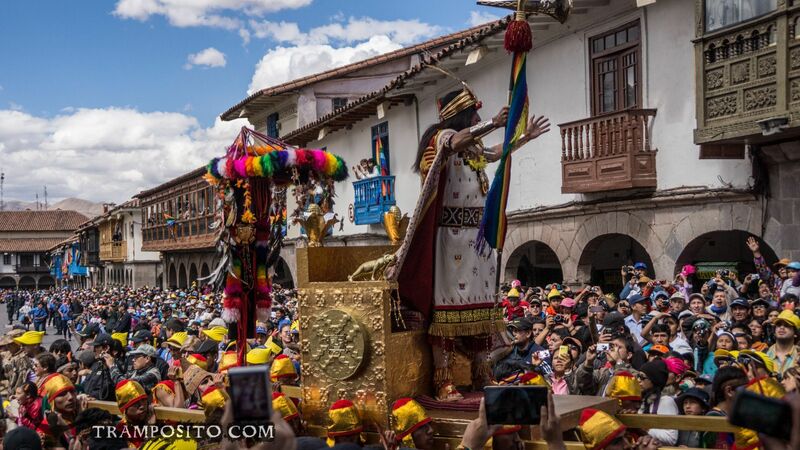 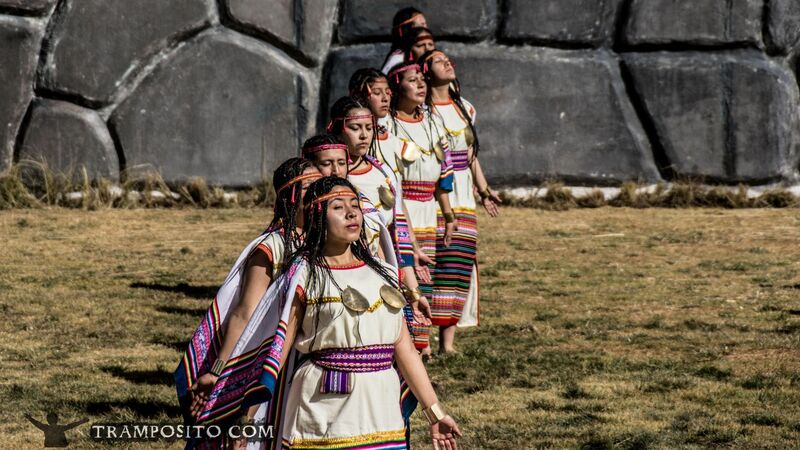 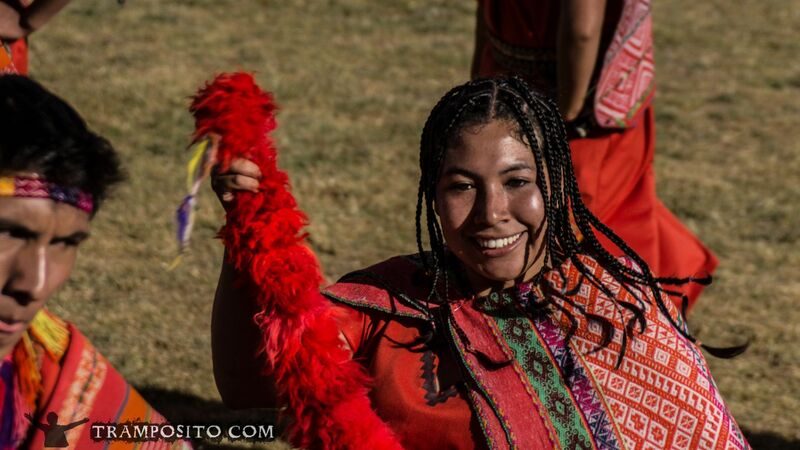 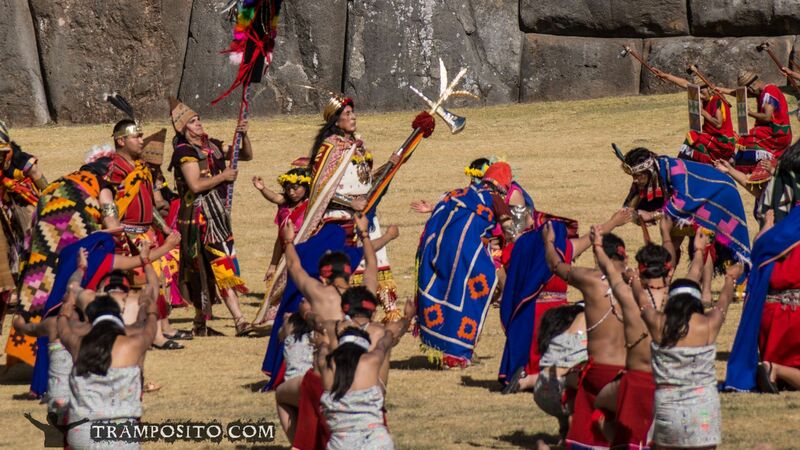 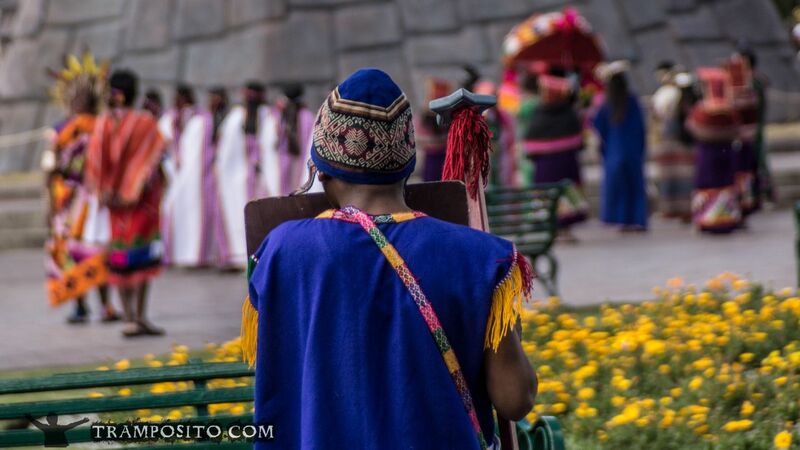 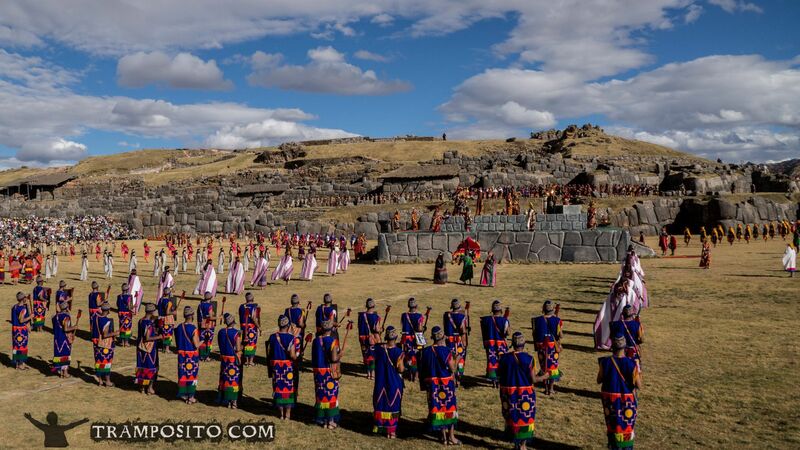 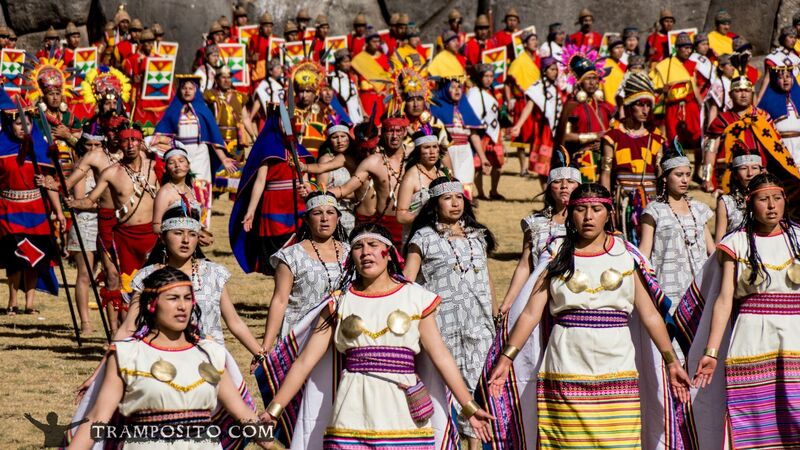 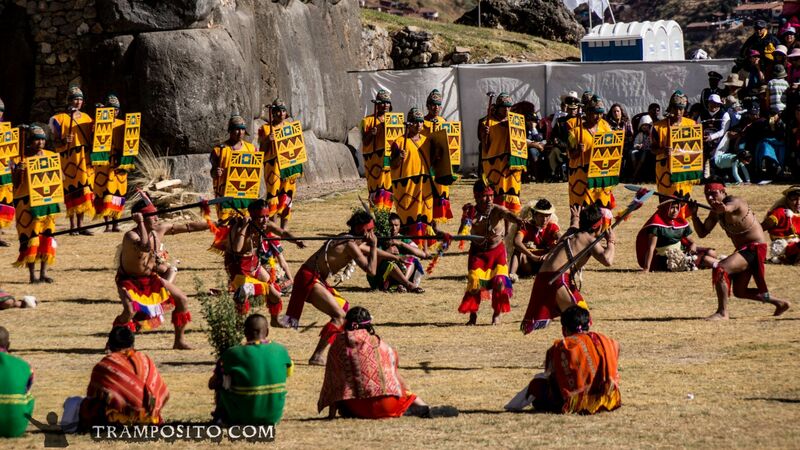 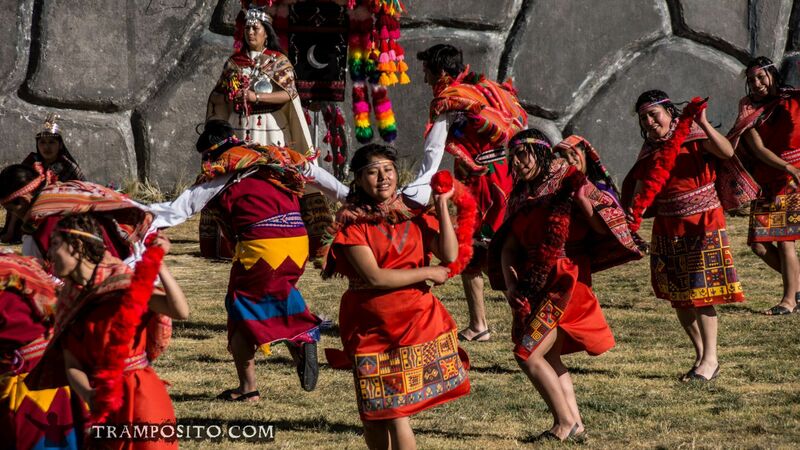 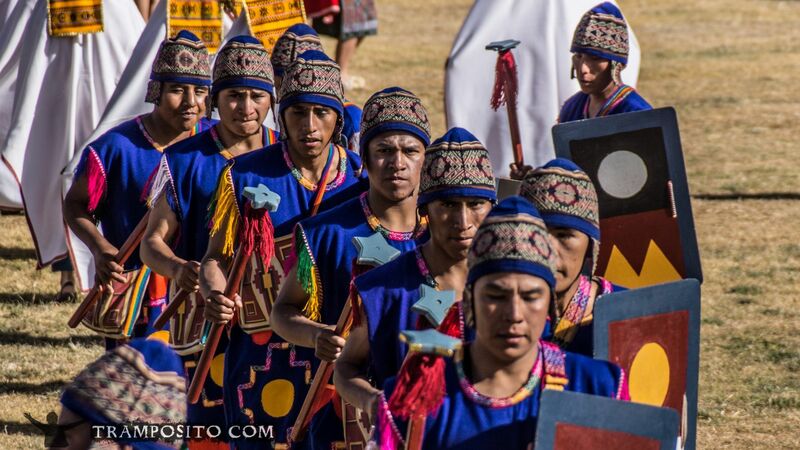 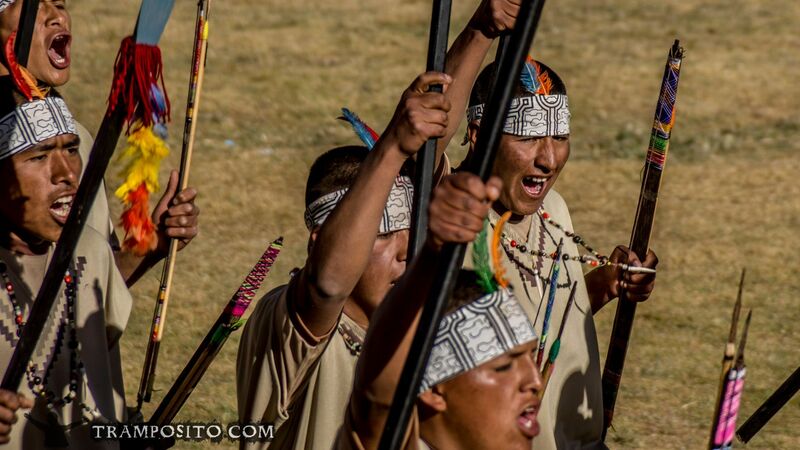 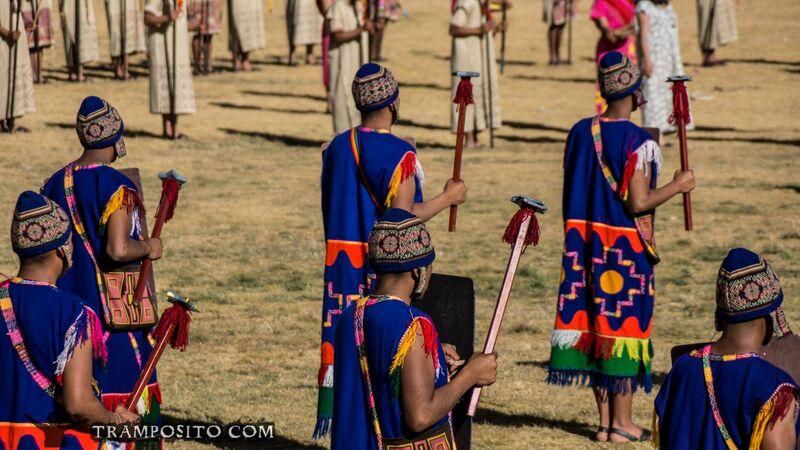 The Inti Raymi is the closing highlight of Cuscos festival season. 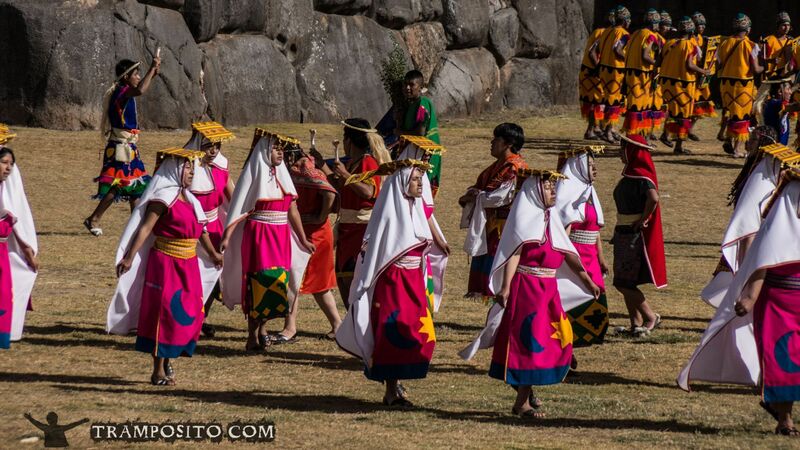 Opposite to all other festivals this one is held completely in traditional clothing and customs. 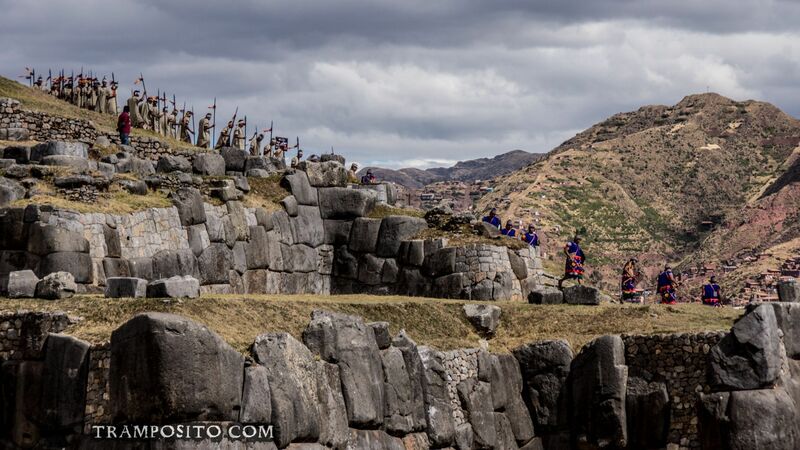 So one can imagine how this land used to be before the conquest by the Spanish. 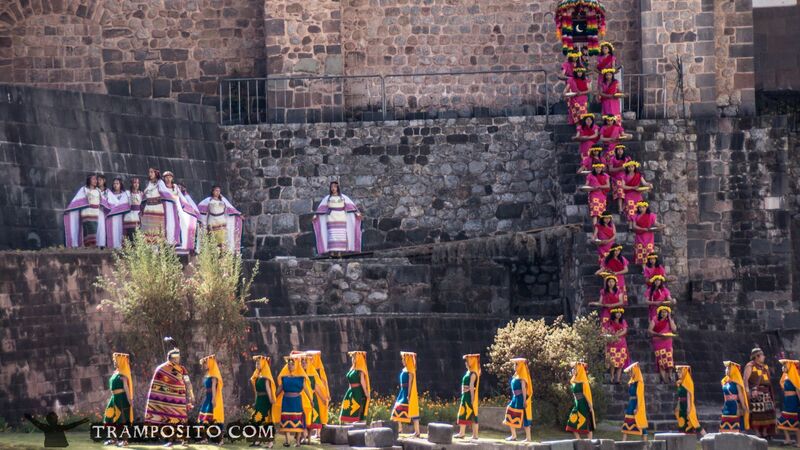 Tourism plays a big role for today’s execution of the event. 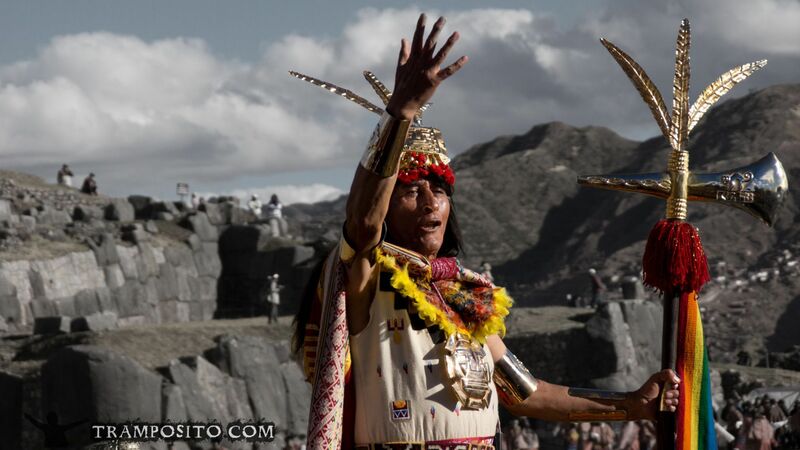 Regularly tickets are sold out. 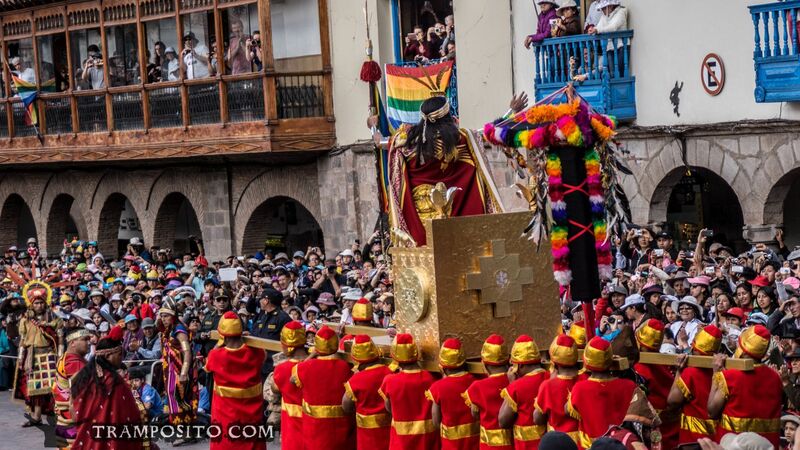 As always, where the masses are, watch your belongings. 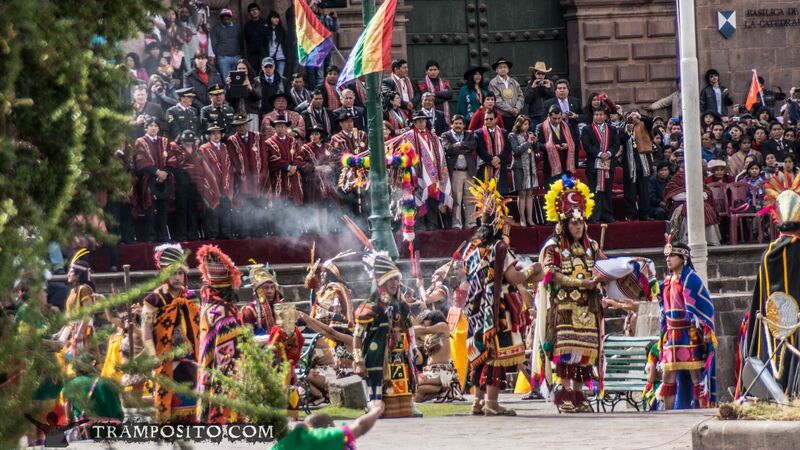 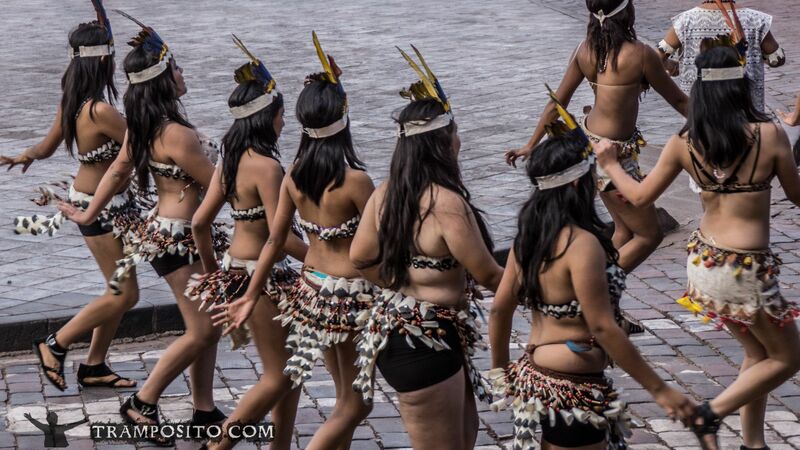 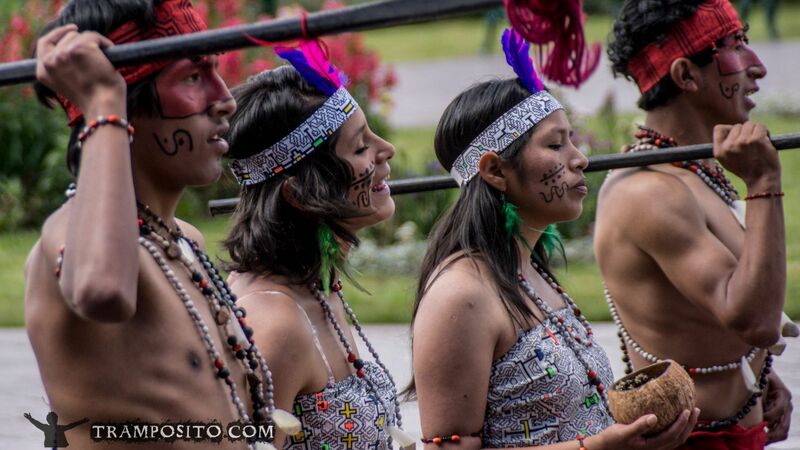 However also to the Peruvians this traditional peace of culture is important. 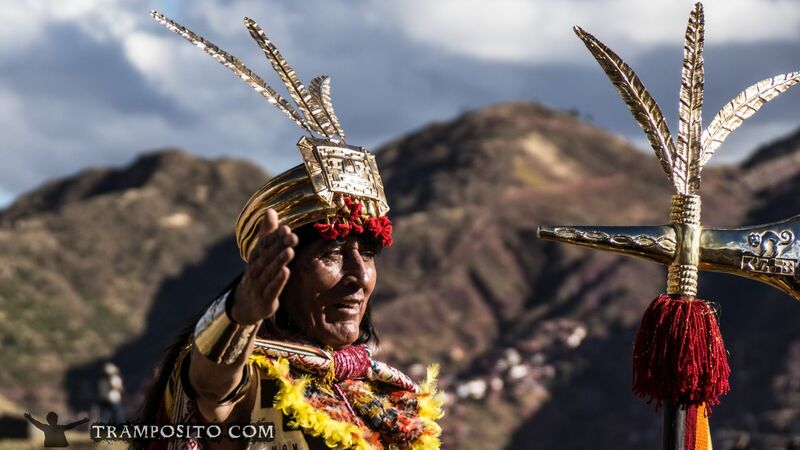 They usually seek their luck in the non-gated spots on the hillsides. 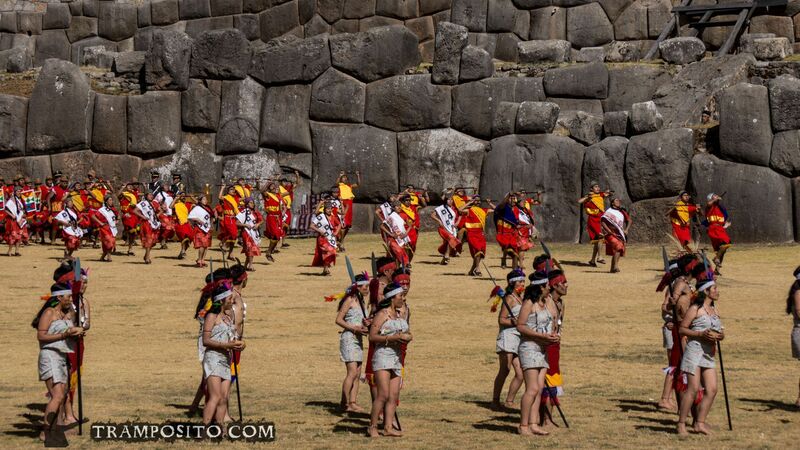 So being there with the right attitude will enable you to enjoy spectacular colors, formations and dancings.